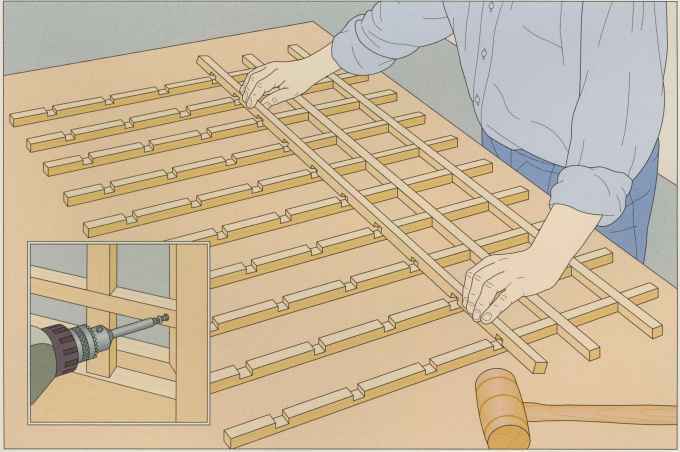 Lay out the horizontal lattice strips on a work surface, spread some glue into all the dadoes and fit the vertical strips in position (below). 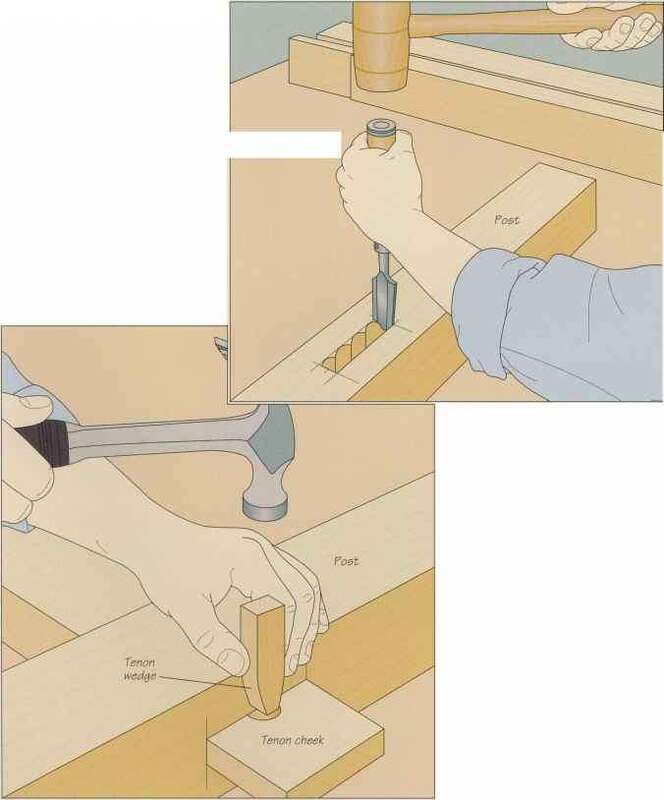 Use a wooden mallet to close the joints snugly, then reinforce every second joint with a nail. To install the lattice, hold the panel against the inside face of the cleats and fasten the strips to the cleats, driving a screw into each corner and into the center of each side (inset).